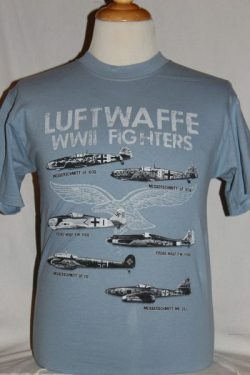 The WWII German Luftwaffe Fighter Aircraft T-Shirt is a single sided print in light blue. Front Design Only. 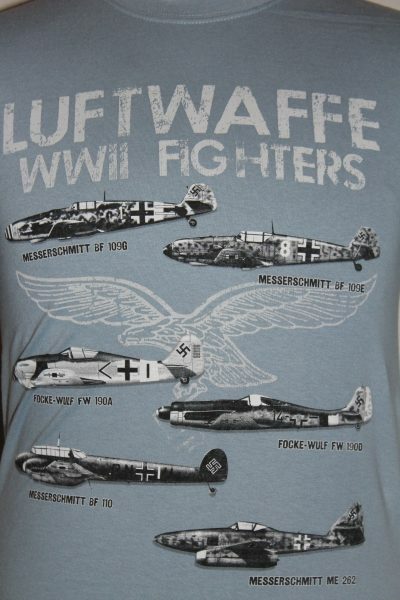 Side view of six Luftwaffe Fighters superimposed over the Luftwaffe Eagle. Text is in black and faded white.